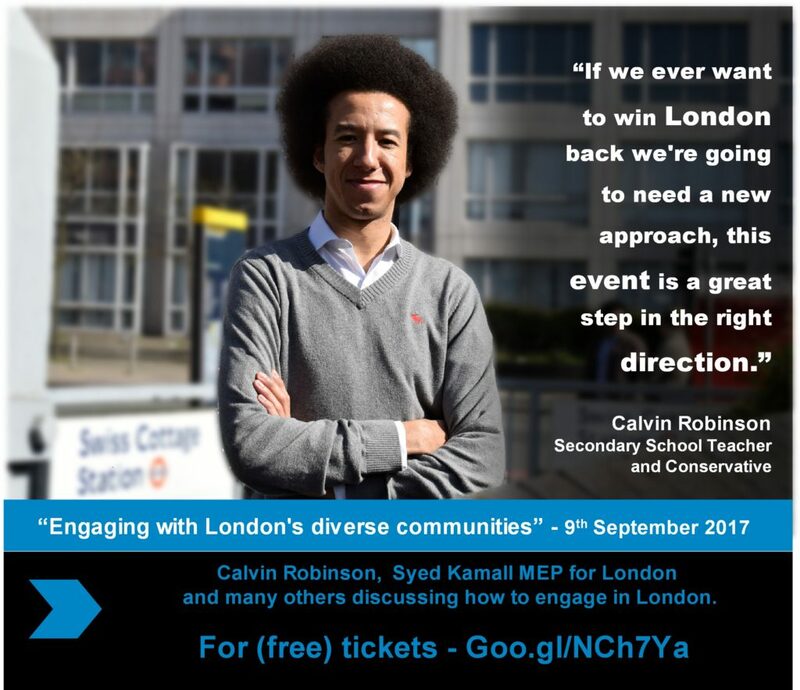 Our approach to voters from London’s diverse communities must change. For far too long we have merely said “We have an open door…”, then sat back and wondered why few people from under-represented communities step through it. An open door is only any good if people feel they will be welcomed. 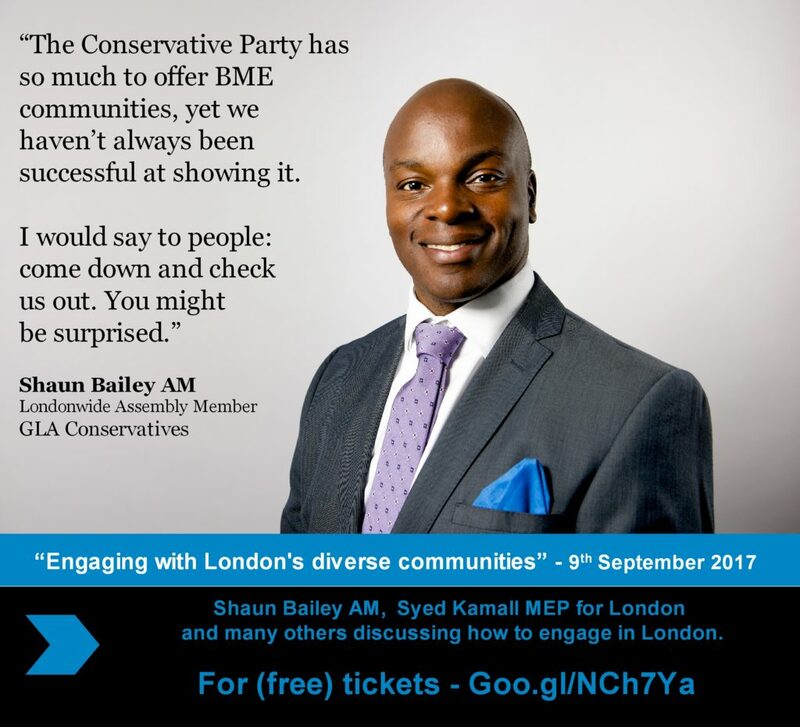 If we want to attract more members or voters from London’s diverse communities, we need to show them that we have people who look and sound like them, not only in the party but getting on in the party. 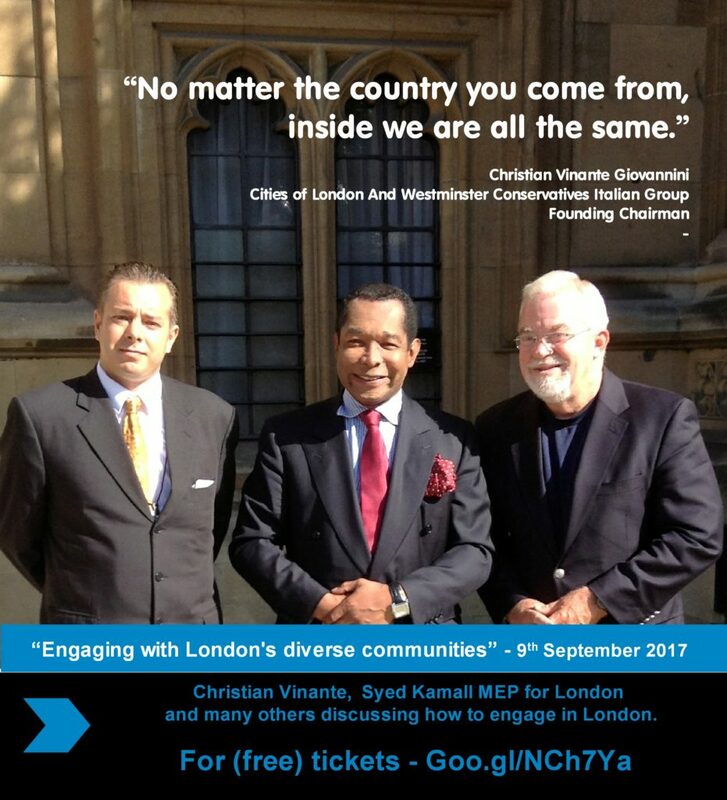 So if you feel that this is a real problem for our party in London, please join me and various speakers from some of London’s different diverse communities on Saturday the 9th September to discuss and address this issue! 10:25: Session 1: How do we start the dialogue? 10:55 Session 2: How to build a targeted campaign? 11:45: Session 3: How can we build networks in the different communities? 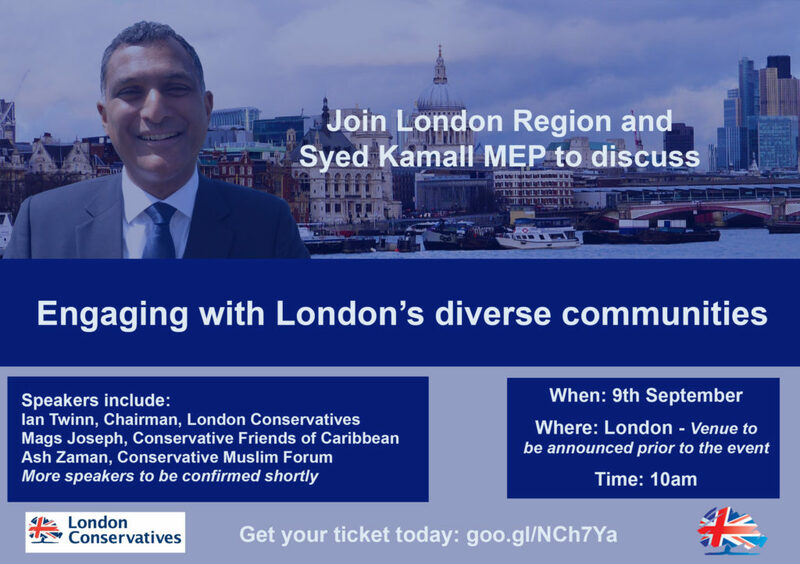 After the conference, Syed Kamall MEP will be hosting an EU information lunch on “Diversity in the EU” to which you will be warmly invited to.